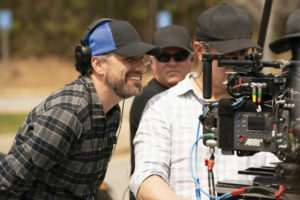 If you’ve ever wondered how the foster care system works in America, the excellent film “Instant Family” provides an up close and personal snapshot from Sean Anders the co-writer and director. Anders and his wife Beth know the foster system as in 2012 they adopted three children, (all biological siblings) ages 18 months, three years, and six years. Toggling a fine line between comedy and drama, Andres gives us a heartwarming film that reminds us truly what a loving family looks like. And here’s the best part, the writing comes from personal experiences; no matter how uncomfortable they may be, Anders doesn’t sugarcoat the adoption process, we as viewers are laughing out loud one moment and tearing up the next. Pairing two A-list actors; Mark Walberg (Pete Wagner) and Rose Byrne (Ellie Wagner) as mom and dad, and the addition of the talented Margo Martindale as Grandma Sandy, and the teen adoptee sassy Lizzy (Isabella Moner of “Sicario: Day of the Soldado” and “Transformers: The Last Night”) delivers a stellar cast. 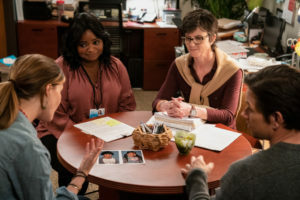 Also notable, Octavia Spencer, (Karen) and Tig Notaro, (Sharon) are fantastic in their roles as the directors of the foster parents’ group meetings. 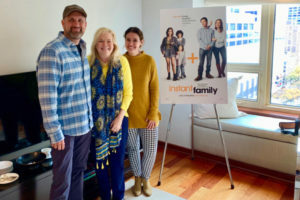 During my interview with director Sean Anders, he told me that he and his wife were required to take classes on foster parenting; it’s all a part of the adoption process. For the Wagner’s the first steps involved attending an adoption fair to meet kids who are eligible; similar to adopting pets, as mentioned in the film. After meeting feisty Lizzy, age 16, the couple thought they would give her a try; unknowingly, they find out she has two siblings. And just like that three children are brought into their home. From the get-go, Juan, (Gustavo Quiroz) is accident prone, and Lita (Julianna Gamiz) has meltdowns. The Wagner’s hang in there sticking to their plan that love, kindness, and respect will win over each child whose absent mother is a crack addict. The realities of foster care are played out front and center. Even the sad situation of keeping-kids-for-a-paycheck foster parenting system is tossed around. Of course, there are the common dining disasters and meltdowns along with the birth mother’s return. Remarkably, there’s a genuine effort to offer a flavor of the entire process. 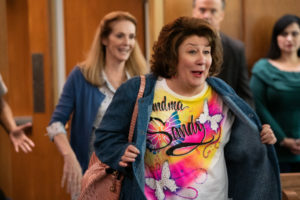 Throughout the process, we’re along for the ride—a roller coaster with sharp turns between serious tearing-up moments and comedic laugh-out hysterics. The experienced Anders manages this fine line with subtlety, with each transition as relaxed and natural, never scripted. Some of my favorite scenes occurred during Pete and Ellie’s foster care parent meetings. 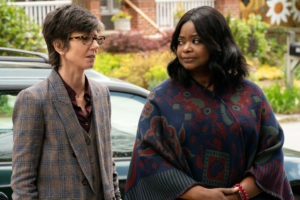 Octavia Spencer and Tig Notaro provide leadership during the group parent meetings—one is by the book—the other a tad bit unconventional; together they make the perfect odd couple. Both garner big laughs as they educate parents while guiding them through their personal journeys with foster care. Again, each carries their roles naturally enhancing the film’s importance of the foster care process. What I found transformative is the notion that stepping outside of your comfort zone by opening your mind to participate in something that you are uncertain of could ultimately become a life-changing decision. And in this case, the change transforms a child or young adult’s life as well. 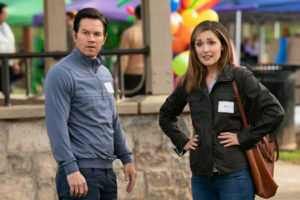 You may find yourself feeling a flood of emotions while watching “Instant Family,” and that’s ok with me, as perhaps you’ll gain an empathic view that may nudge you toward changing your attitudes of foster kids, or deciding to check out foster care, or even choose to volunteer in some capacity. Whatever the action, it’s clear that kids without responsible parenting need our help.